By reviewing the following screenshots it should become clear how the aspect chart lines are displayed for bi-wheel charts. 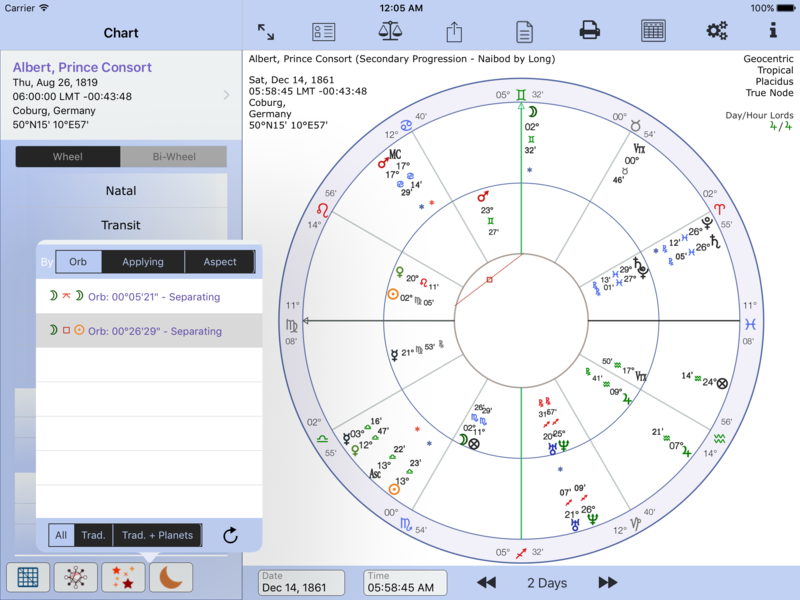 In the first screenshot, all progressed to natal aspects lines are shown. Aspect lines should be viewed from the progressed (outer points/planets) to inner wheel points/planets. The large blue line shows the aspect clearly – Moon progressed in Gemini is square the natal Sun. The two smaller blue lines point to the actual corresponding aspect line. 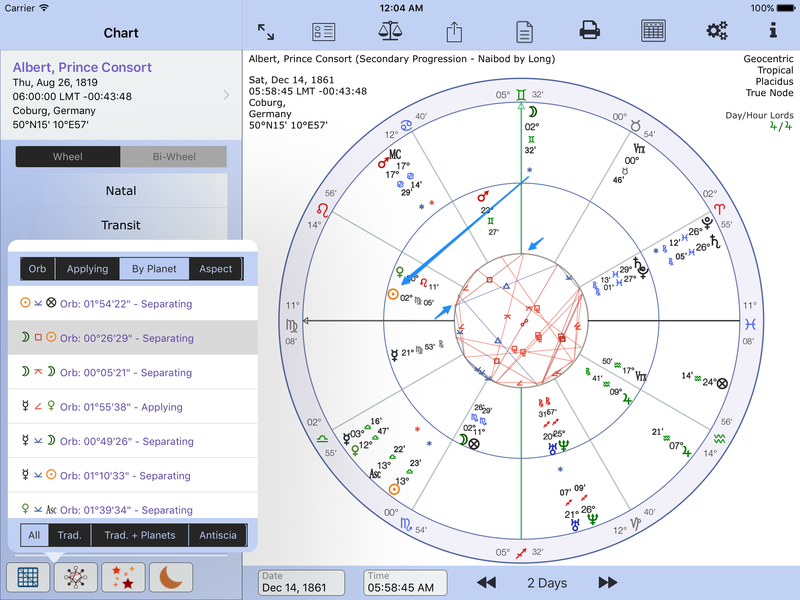 Chart Lines for Progressed Chart with Moon p sq Sun r selected ( Moon progressed square (90 degrees) natal Sun). The p = progressed. The r = radix which is also known as a natal chart or birth chart. Selecting an aspect in the Moon aspect table results in the chart showing only that particular aspect. This feature is currently only available for the Moon’s aspects.